Baby Carrier: I loved loved wearing Cataleya! Having her close to me while having my hands free allowed me to get things done around the house, grocery shop with ease, and maneuver well in crowded spaces. I prefer ring slings and wraps that you can get from WildBird whereas my husband likes more of a structured carrier from ErgoBaby. Stroller: Now we didn’t utilize our stroller until Cataleya was about 9M, mainly because we heavily used our baby carriers. However, I feel this one depends on you and/or your baby’s preference. I love our Uppa Vista stroller and worth the investment because it turns into a double stroller with simple add on attachments that we picked up. High Chair: We did splurge on Cataleya’s chair, but she still uses it since it grows with her. The Stokke is super easy to clean and install. We will for sure be getting Enzo his own! Diaper Backpack: Since we used our baby carries a lot, we found a diaper bag that had an option to convert to a backpack worked best for us. An extra perk if you can throw into the washer like Ju-Ju-Be B.F.F. Diaper Pail: We went with a pail from Ubbi World, because they were aesthetically pleasing, steel (no plastic) and no special bags were needed. We still used it as a trash bin when Cataleya was well out of her diapers. Changing Pad: After many blow outs and cleaning too many changing pad covers, I’d now prefer a pad that can be simply wiped down like the Hatch Baby Grow. Baby Care: I’ve gone through a few thermometer’s and I’ve liked how this one can be used on the forehead or ear with simple buttons and its super affordable. Oh and you can forget NoseFrida I’m sure you’ve heard of them and love a few of their products. Their NailFrida is such a good quality one and has a little peep hole when trimming your babes nails. Last but not the least is a humidifier, this isn’t just for the kids, we even use it for us when we have a cold, cough, etc. We love our Crane USA and practically have one in every room. 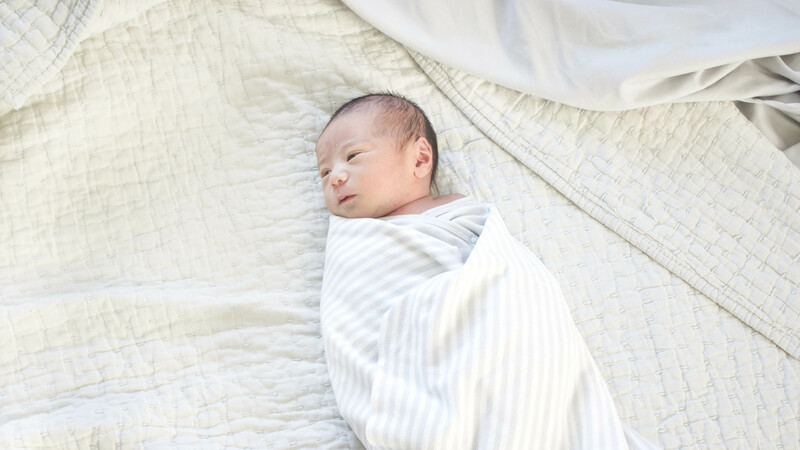 Swaddle Blankets: This is probably the one thing I hoard on 🙈. I don’t know what it is, but I can never have to many and they last well beyond those swaddle days. We have them in the car, the playroom, our room, you name it. Cataleya always has to have one nearby too.